We made our debut at North Coast Nationals with good results especially considering the weather was not the best. On The Thursday KPH Trojan The Greek won both the Preliminary 1.2 & Novice 2.2 dressage tests with Abbadaire Domatacus coming second in both tests. Pacific View Samira (owned by Rose Kliese) came 4th in the preliminary 1.2. Friday in the breed classes KPH Trojan The Greek won both the WB & ANSA led exhibits with Champion ANSA & Reserve Champion WB. Another first for me with my wonderful stallion KPH Trojan The Greek. 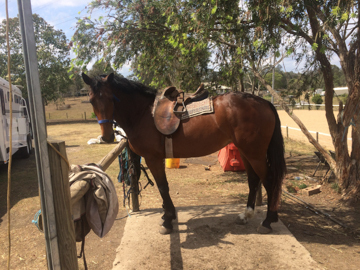 Once again demonstrating his easy-going temperament and trainability Trojan helped me make the transition from riding astride to side-saddle a safe and enjoyable experience! 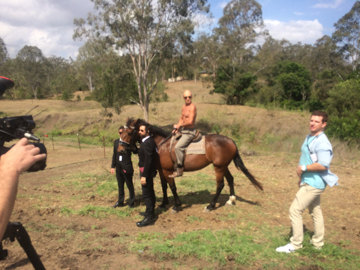 With the help and guidance of Wendy by the end of the session we had walked, trotted & cantered, ridden some simple changes & practiced our shoulder-in and travel. Riding side-saddle involves a lot more balance and body control than riding astride. My biggest challenge was my bottom kept sliding to the left so I had to ensure I maintained more weight in my right seat-bone so I stayed centred. My second challenge was getting Trojan to respond to the cane the way he normally would to my right leg but that proved a simple enough process. Many thanks to Linda Hauser for organising the lesson for us!!!!! It was an absolutely fantastic experience and I look forward to our next lesson!!!! Pacific View Samira - owned by Rose Kliese made her debut appearance at the 2017 Brisbane Royal with fantastic results for this young pony. She exhibited impeccable behaviour throughout the show and was an absolute pleasure to ride and handle at all times despite the fact that this is the largest show she has been to and it is her first season out competing. Placing in all classes entered she came 3rd in the Led Aussie Pony, 2nd Aussie Pony under saddle & 6th in the Australian Saddle Pony. ​KPH Mouse exhibiting the lovely trainable temperament all of KPH Trojan The Greek's progeny have. First day of halter training and he took it all in stride and handled it like a pro. Here at Kulavale we like to keep everything low key and simple. 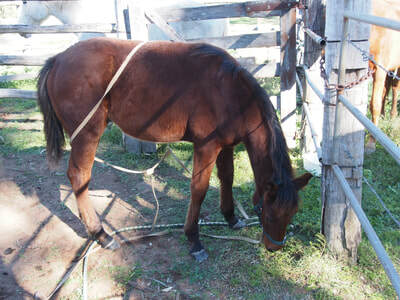 Since this was the first time Mouse has had a halter on we caught him by looking a rope around his neck in the stockyard. Once he stopped resisting and allowed me to pat him then we put the halter on and repeated the process of patting him till he relaxed. 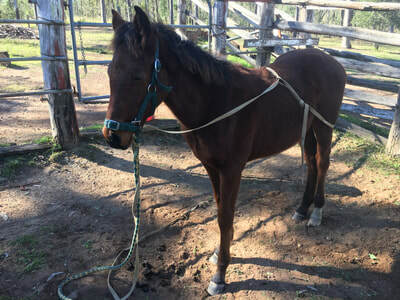 Rather than pulling on his head to teach him to lead which may end up causing damage we loop a rope around the hindquarters to teach him to walk forward with pressure from behind. Before you hang up your best three piece suite or elegant cocktail dress for another twelve months, yes, the one that only sees daylight once a year for your extravagant New Years soiree; why not consider donning your Sunday best and attending one of Ipswich’s prestigious race days and have a flutter whilst sipping on some bubbly? Doesn’t sound like a bad way to kick back and enjoy this beautiful Australian weather now, does it? 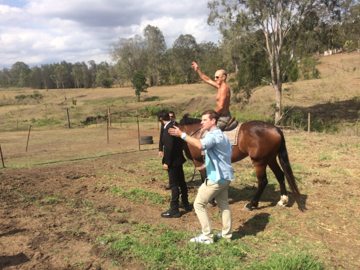 Whilst the big days themselves are adorned with glitz and glamour, behind the scenes in lead up is a different story. Hard work, long hours and a drive for success are the little known, and rarely spoken about realities of the droves of trainers and jockeys alike that commit their lives to becoming the absolute best they themselves, and the majestic creatures that they ride, possibly can be. I was lucky enough to be able to speak to Jenny Kunde of Kulavale Performance Horses about what it’s like behind the scenes of this iconic sport and past-time. 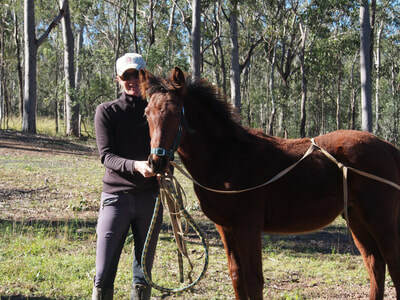 Q: As a 32-year veteran horse trainer and rider yourself, horse riding is undeniably in your blood. What about the sport drew you personally to it? A: I have been on horses since before I could walk and started riding by myself when I was 2 years old. I grew up mustering cattle, joined pony club when I was a teenager and tried a variety of sports from eventing, to gymkhanas to dressage before focusing solely on dressage and showing in my early 20’s. Q: How long has Kulavale Performance Horses been in operation? 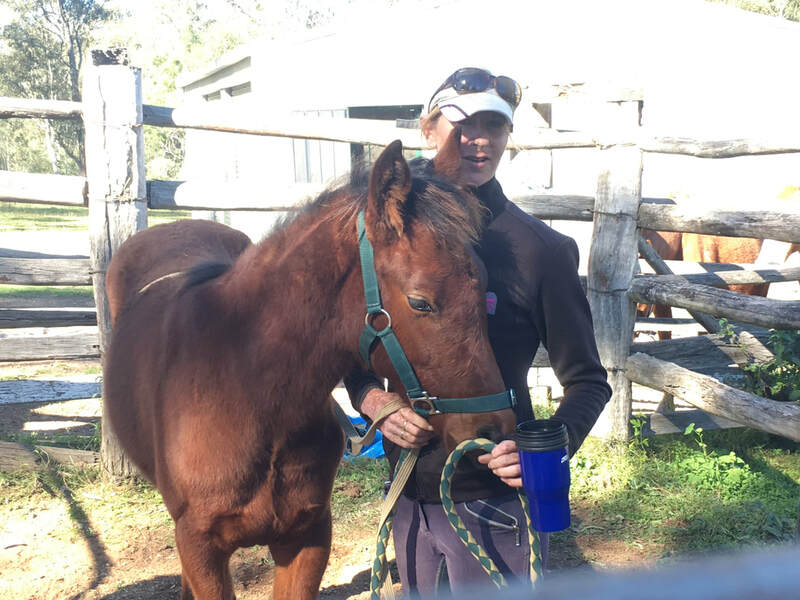 A: I have been an EA Level 1 qualified coach for over 10 years and Kulavale Performance Horses has been in operation full-time since 2012. 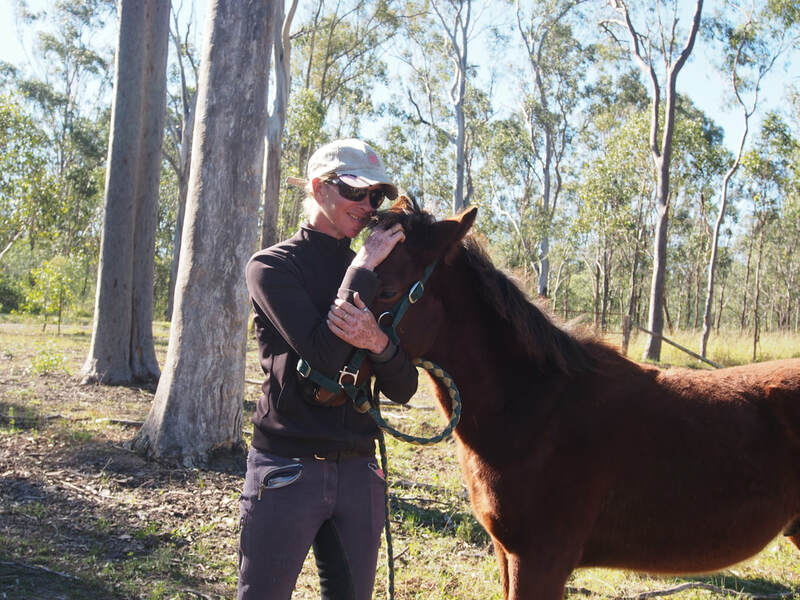 Q: What does Kulavale Performance Horses specialise in? 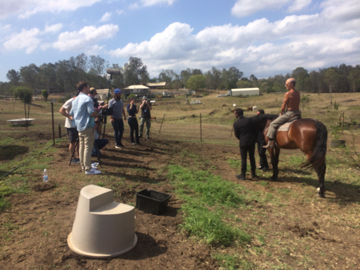 A: At Kulavale Performance Horses we specialize in a few different areas including breaking and training horses, furthering horses education and re-educating horses from other disciplines such as ex-racehorses and selling horses on behalf of clients. We also offer dressage lessons for riders from any discipline and background as we tailor the lessons to meet the requirements rider and their horse so their short & long term goals can be met and achieved. Further we have an AWHA Registered warmblood stallion KPH Trojan The Greek standing at stud. 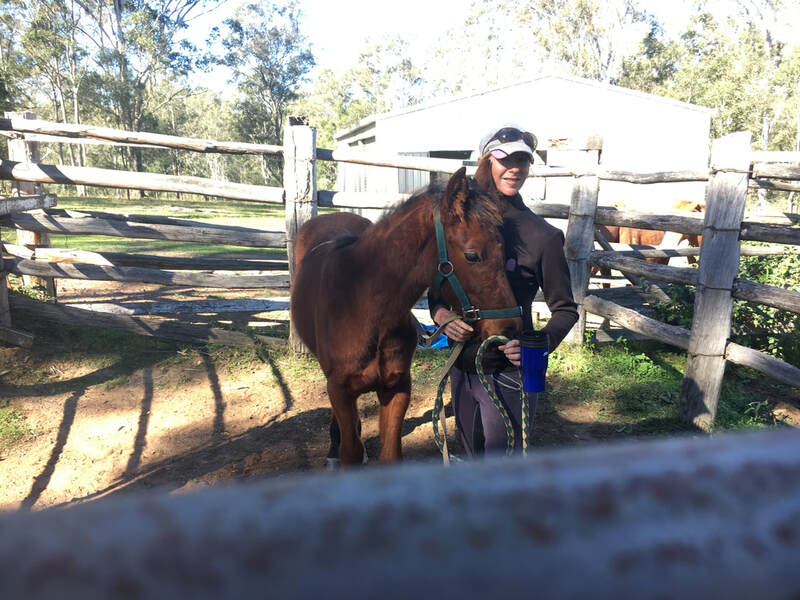 KPH Trojan The Greek has been campaigned extensively in SE QLD & Northern NSW at both Ag Shows & Dressage competitions and is currently competing medium level dressage. Q: With such a rich history, what are some of the highlights that Kulavale Performance Horses have experienced since its conception? Toowoomba Royal Show 2016 – 1st Warmblood Stallion Under Saddle & 3rd ANSA Stallion Under Saddle. 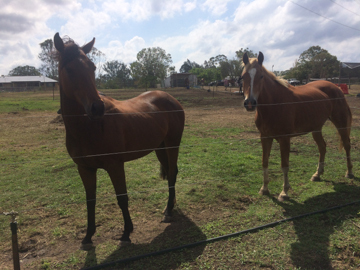 EKKA 2015 – Champion Warmblood Stallion & 2nd ANSA Stallion Under Saddle. Further to KPH Trojan The Greek’s competitive efforts at the end of 2015 at the end of 2015 his first crop of foals from our own mares were born. We have 4 lovely foals that are now approximately 12 months old with more on the way this season from both our mares and outside mares. Q: Whilst Kulavale specializes in dressage and jumping training, are you a fan of attending the races yourself? A: As we run this business full-time there is not much time for leisure activities but I definitely enjoy putting on a nice dress, some high heels and attend the local races both in Brisbane and Ipswich when I can. 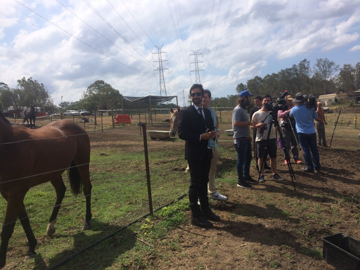 I always make an appearance at the Ipswich Cup and attend some sort of event for the Melbourne Cup. Q: With the beginning of a new year, obviously a lot of people are looking to explore new opportunities and possibilities for hobbies and past –times to broaden their horizons. What would you say to someone who is considering show riding for 2017? A: If you want to start competing in dressage or showing in 2017 then please feel free to contact me so I can outline what you will need to do to start your competitive career. This spans from selecting the appropriate horse or helping you train your existing horse, to purchasing the right competition attire and selecting appropriate competitions to ensure you continue to learn whilst enjoying the sport at the level you are comfortable with. Q: What does Kulavale have planned for 2017? A: For 2017 we have a full competition year planned starting with back to back shows in February, first Allora Show, then onto Clifton Show. 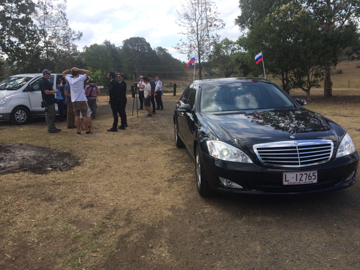 After that we will definitely be heading to Toowoomba Royal and the Ekka. Plus there will be multiple dressage competitions along the way ending the dressage season with the Qld Dressage Championships. There you have it; straight from the horse’s mouth! Kulavale Performances Horses in Karalee, a casual 15 minute drive from the Ipswich CBD is your go to for all of your everything dressage and show related. Be sure to get in touch with Jenny if you have any further enquiries regarding making 2017 the year of the horse (and not the rooster). KPH Trojan The Greek's first foal of the 2016/17 breeding season is finally on the ground and looking fit and healthy. Tilly was born the last week of December in 2016. She is a beautiful little filly out of a warmblood mare called Cupcake who is owned by Tor & Mel Van Den Berge of Team Van Den Berge. What a fantastic addition to their team of beautiful horses! Kulavale Performance Horses' TV Appearance. 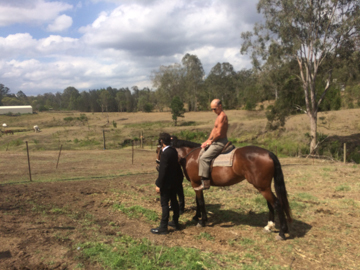 Kulavale Performance Horses has made it onto National TV (for about 20 seconds) when Channel 10's The Project came to do a photo shoot to recreate this famous image of Vladimir Putin - the Russian President riding in the mountains in Russia. 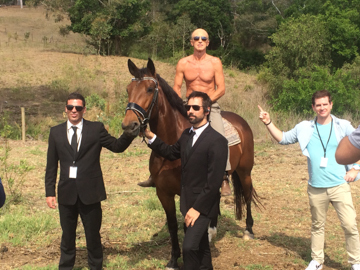 The real Vladimir Putin in the mountains of Russia. The cast & crew preparing. 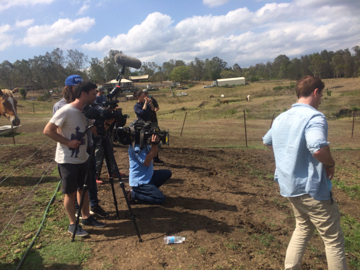 Crew out in the paddock. Chev preparing for her starring role. The studio audience, Diamondtina & Surprise. Got to get the background right. Chev's real handlers behind the scenes - Jenny Kunde owner of KPH & Elizabeth Morgan owner of KPH Chevalli.